We have answered many of the most common questions asked about Reiki. If you have any questions not outlined below, please contact us and inquire. Thank you! Reiki is spiritual, healing energy. It is often called ‘Universal Life (Rei) Energy (Ki)’, or ‘Divine Source Energy’. Reiki energy helps to awaken the healer within. Each of us has the capacity to create a life of health and wellness. Reiki is a complement to this innate intelligence and helps to enhance the body’s energetic field. Reiki can be for anyone who chooses to receive it. Children, adolescents, adults, the elderly, the infirm, and pets all can enjoy the benefits of Reiki. Reiki energy works with the whole – the body, mind, and spirit. Reiki has the amazing ability to create calm and relaxation; helps to reduce stress and anxiety; is a great sleep aid and a wonderful energy to wake up to; and helps the body to heal. It is important to note that Reiki does not ‘cure disease’, however, as mentioned above, it helps to awaken the healer within, creating conditions within the body that enhance an environment for healing to occur. Like meditation, Reiki fosters the habit of living in the present moment – releasing and healing the past – helping us not borrow worries from the future. Reiki is given by placing the practitioner’s hands on, or just above the person’s body. With intention, the Reiki energy begins to flow through the practitioner and to the recipient. The recipient stays fully clothed as the treatment is received. The usual treatment is between 60 to 90 minutes. It is our practice to meet with you first for a few minutes (longer if it is your first treatment) to understand why you came for a treatment; and to sit with you for a few minutes after the treatment to answer further questions. Does Reiki interfere with my current medical therapies or medications? Reiki is a complement to, and not a replacement for, your current medical care. If you have any concerns about using Reiki while taking treatments or while on medications, we encourage you to speak with your health care provider. The healing nature and intention of Reiki is indeed ‘harm to none’. It can be of great benefit toward restoring calm and reducing stress, which in turn creates an internal atmosphere more conducive to restoring health. What if I want some specific information about Reiki my current health concern? 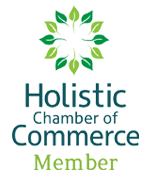 We are more than happy to speak with you about your concerns from a Reiki healing treatment standpoint. We have access to Reiki Medical and Health Research (information on specific ailments noted below). If you are interested in any of the research, please call us to chat, or fill out our contact form with your request, and we’ll send you the information we have. If the topic you are interested in is not listed above, please contact us with the details and we will reply to you. How can I book a Reiki Treatment, what is the cost, and how soon can I get an appointment? Our One-Hour Treatment is $75. Please fill out our contact form, or call us at 604.217.1826 and leave a detailed message. Monday: 10:30 a.m., 2:30 p.m.
Friday: 10:30 a.m., 2:30 p.m.